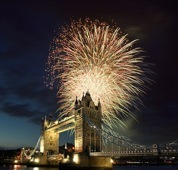 …The fifth of November, is the famous rhyme attributed to Bonfire Night or Guy Fawkes Night. It’s also the rhyme that I taught my students when we spoke about this very British tradition briefly in a reading class. It’s a historical day that will never be forgotten and has been remembered since the 5th November 1605. So what exactly happened all those years back? If you want to find out then keep on reading to unravel the mystery. Guy Fawkes is a name that is synonymous with the Gunpowder Plot and of course, this was what gave rise to Bonfire Night being celebrated every year. Details of the events aren’t concrete as there are many versions of it and some versions are biased. But the basic outline of the story was that there was some division between Protestants and Catholics in England, especially after King James VI of Scotland, a Protestant, was named King of England also. Even though King James had promised that the persecution of Catholics would stop, that promise was not kept and it revolted a group of Catholics. 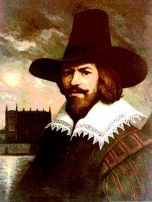 Guy Fawkes was a member of this group that conspired against the King. This group rented a room under Parliament and their plot was to blow it and the King up using large amounts of gunpowder. However, there were Catholic members in Parliament and the group had written to these members to warn them of their plan. This is when the plan was brought to the King’s attention, who consequently asked his soldiers to check the room under Parliament out. It was in the early hours of the 5th November that the King’s soldiers stumbled upon Guy Fawkes guarding the barrels of gunpowder. Guy Fawkes was arrested, tortured until he revealed the names of the other conspirators and he was executed a year after on the 5th November 1606. Londoners on the fifth November 1605 were encouraged to celebrate the King’s narrow escape from assassination by lighting bonfires providing this done in an orderly fashion. The tradition has continued on until this very day and next week you will hear the booms and bangs of fireworks being set off across the country and now you know the reason behind it. In some areas, it is also common to create a figurine representing Fawkes and setting it alight on a bonfire. This year, the events start off with a bang on Friday 31st October across the Dorset area. But the BIGGEST firework event of the week in Dorset is obviously set for Wednesday 5th November and will be held in Poole Quay. The festivities begin at 5pm and there will be various forms of entertainment from music to fire performances. There will also be a sponsored fire walk to raise money for charity and the fireworks are set to light up the skies above Poole Harbour at 8pm that evening. It’s a totally free event so don’t miss out and celebrate Bonfire Night like a proper Englishman! DID YOU KNOW that ‘guy’ was used to refer to an oddly dressed man in the 19th century but in American English it just refers to anyone of the male gender? By worldchoiceeducation in proverbs, The UK, World Choice Education on October 30, 2014 .